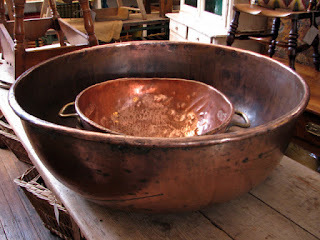 The Drill Hall Emporium: new in store...amazing copper bowl, ex Hobart jam factory! 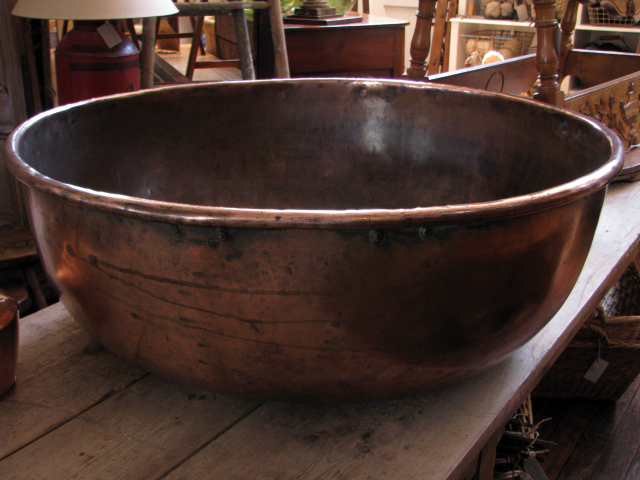 new in store...amazing copper bowl, ex Hobart jam factory! This copper bowl is definitely the largest piece of copper we have had in the store, in nearly 20 years of dealing! We had to literally turn it on its side to get in through our front door. I knew we would have trouble finding a spot for it in the store, and sure enough it caused major shuffling of other pieces. It is presently on the long French farmhouse table, but it is even too wide for this. I believe the bowl to date to the late 19th century and it is reputedly from the Hobart IXL jam factory situated on Hobart's wharf. 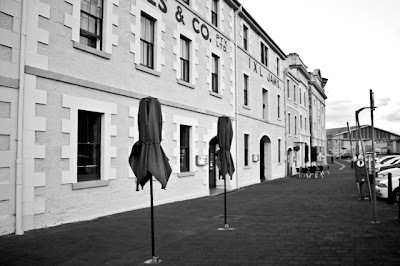 According to Wikipedia the IXL was first established by Henry Jones in 1891, initially named H.Jones & Company. 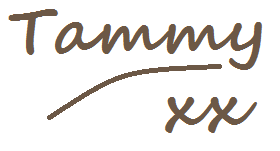 The IXL brand "I excel in everything I do" was Henry Jones's personal motto. 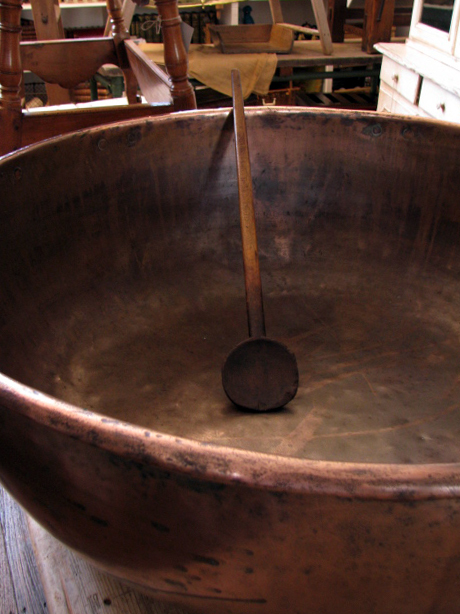 If this bowl is indeed from his jam factory, he definitely excelled in commissioning the most amazing commercial sized copper bowl! If any one can confirm that this bowl is indeed from the IXL jam factory, we would really appreciate hearing from you. 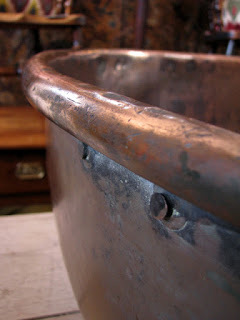 You may recall in a previous post my rave about a French copper patisserie bowl from our latest buying trip? I bragged about its size, and how we have not had a bowl as big before. Well, here is that said bowl within our newest jam factory bowl! A little lost perhaps? I now wonder about the future for this piece, it would be truly wonderful if it could be put to its original purpose of making jam. We may just need to find a bigger spoon! Alternatively, I can't help but imagine it as a unique feature in a garden. Can anyone else see this? WOW that bowl is HUGE! Imagine beating egg whites in this. You'd be chasing the whites around and around the bowl. You'd need the right spot if you were putting this inside that's for sure. Open plan kitchen dining and/or lounge. I do agree I could definately see it being used in the garden as a feature. Stunning piece. I hope that you can confirm if this is Henry Jones' jam factory jam pan. Nice to think it is. The french patisserie bowl looks so tiny! Better go and do some jobs before bed. The right spot, yes. Perhaps open plan living would help. I think too big for egg whites, unless you were making the world's largest pavlova! Thanks for stopping by, talk soon. I agree, the bowl is so huge. our new shop transformation begins!